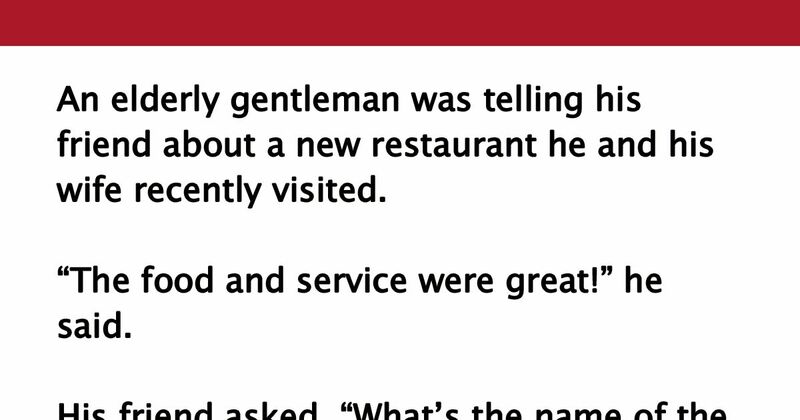 An elderly gentleman was telling his friend about a new restaurant he and his wife recently visited. “The food and service were great!” he said. “Gee, I don’t remember,” he said, thinking. “You mean a rose?” asked his friend. Oh boy! SHARE if you liked this story!